For many years I have known a few things as fact. Men communicate, and folks just aren’t paying attention to how we do. Men engage, but folks seem to think that men subscribe to notion of ‘if you build it, they will come’. Which is not the case. One of the other failings in male health is that there is this idea that men need to change their behaviours in order to ‘get well’. There is research that shows that behavioural change programs in health promotion are ineffective and in some cases are have the reverse affect. A heads up, men will avoid behavioural change programs like the plague. Its all about safe spaces. I know this because a) I am an man and b) I work in health, and thats how I came up with YFRONTS. Not what it is today, originally I was setting it up to be an auto-curated Twitter account. Three years ago I learnt what an auto-curated twitter account could do. Its a themed twitter account that each week has a different user, giving them an opportunity to give their point of view aligned with that theme. The account that showed me this was @IndigenousX. About a year later I saw how this same type of account could have an impact in health with @WePublicHealth. So I decided to create one for men’s health. One week a male worker in health and the alternate week, a male in a non-professional capacity. Each week they’re would be different points of view and perspectives on mens health and interacting occasionally with followers in a Q & A on the topic of men’s health. Thats where the name YFRONTS came from. Literally what came to mind were the words – ‘questions, answers, why, Y, yfronts’, and that was that. YFRONTS. I then set up the twitter account and started doing some the initial planning on what and how I would get it started. How I would get it ready. Several months later I was forwarded an email for a project beyond blue and Movember had partnered on. An action research project using a digital interface designed to reduce stigma associated with depression and suicidal thoughts among men. It was called the Stigma Reduction Interventions: Digital Environments (STRIDE) project. The initial ground work on the twitter account allowed for a swift transition into submitting an proposal. Two years later, on RUOK Day? YFRONTS was launched as an app for iPhone users. You can download it here. In the development of the APP, the first thing needed was to step away from the language of mental health, and that meant erasing the term completely. As an Indigenous Australian working in mental health I knew exactly what was needed in its place. As Indigenous Australians we view mental health through domains of what we call social and emotional wellbeing. We look at our physical, emotional, social, cultural, and spiritual health as all interconnected. Disruption to one or more of these domains, we know to affect our overall ‘mental health’. By looking at our mental health this way, we are able to isolate what needs to be focused on. In todays fast paced entrepreneurial space you could call it the ‘lean’ approach to mental health. Rather than approaching mental health as a whole system, we approach it looking at the domains and implementing incremental interventions. We have existed for over 60,000 years without a mobile application, so it made sense to implement this at a time when we have them. The second thing was too focus on what men already unconsciously do that contributes to their positive well-being. In the last ten years its been validated that laughing with mates releases feel-good stimuli, known as endorphins, into our brains. So when you see a bunch of mate skylarking about about, what is happening, unbeknownst to them, is that these endorphins are combating any pain and stress they may be experiencing and helping their minds alleviate anxiety and depression. Watching a comedy film or tv show, anything that makes you laugh does this as well. So the dice was rolled with this knowledge, plus a few other ideas I had floating around in my head, and a submission was tendered. Suffice to say, the YFRONTS idea was successful. There are several elements to the YFRONTS app that set it apart from the usual ‘mental health’ interventions aimed at men. They include the two previous elements I mentioned: erasing the word mental health, the domains of social and emotional wellbeing. But we also use elements of mindfulness. We ask that users take pictures of themselves skylarking/having fun or fishing or whatever it is they like doing and upload them to the APP. We then encourage the men to write a short sentence on what they were doing in that moment. Mindfulness works on the premise of keeping folks resent in the moment, so by stealth, we are getting these guys to do the same thing. What we also did, that was really important, was that we co-designed the “look and feel” of the app with men of the FIFO sector. So its been built by men for men. We did this because of those “safe spaces” I mentioned earlier. Men share in those spaces and the best folks to create those spaces is men themselves. YFRONTS aims to recreate those safe spaces, download it here and if you let us know what you think, we have a $3000 European trip up for grabs if you do. 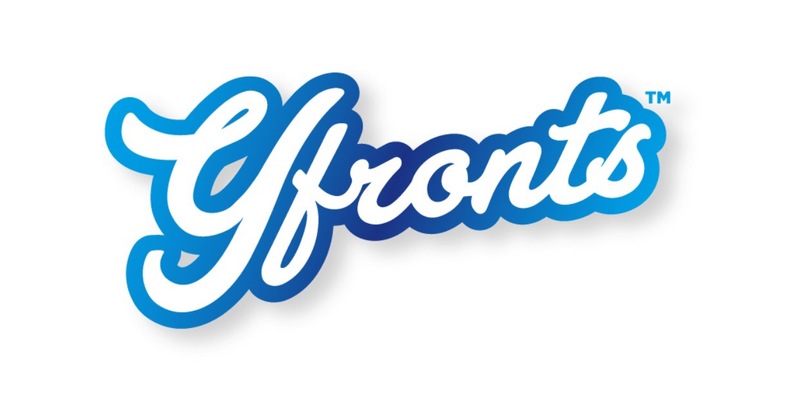 YFRONTS has been developed by Indigenist in partnership with CGA Consulting, LMB Industries, and Led By Design.